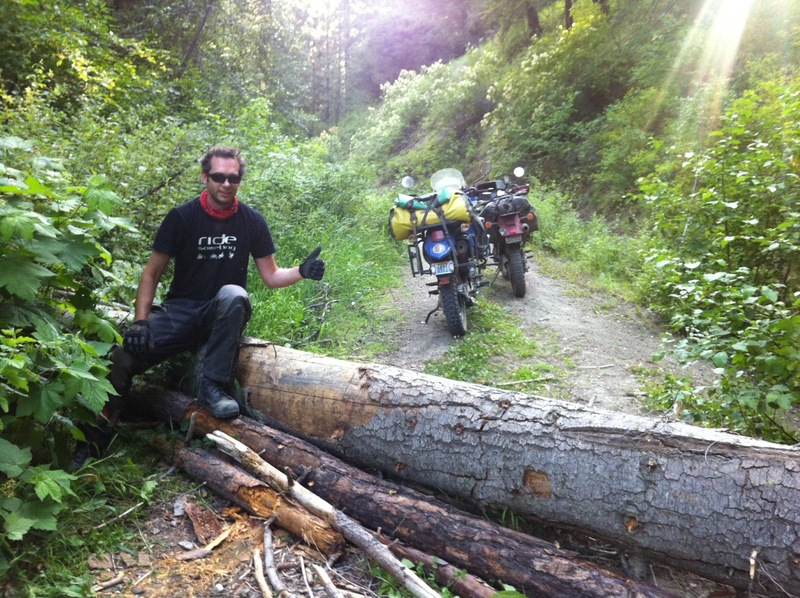 Day two and Section 2 (of 6) was the hardest day for us on the WABDR, both physically and psychically. 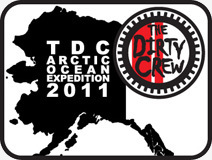 After a great night of backcountry camping, we spent the day preparing and recoiling from the events that unfolded. Swamp Monster sees the baby-head sized rocks that make up the "road," stands up on the KLR, hammers the throttle, and scoots past trouble without breaking a sweat. 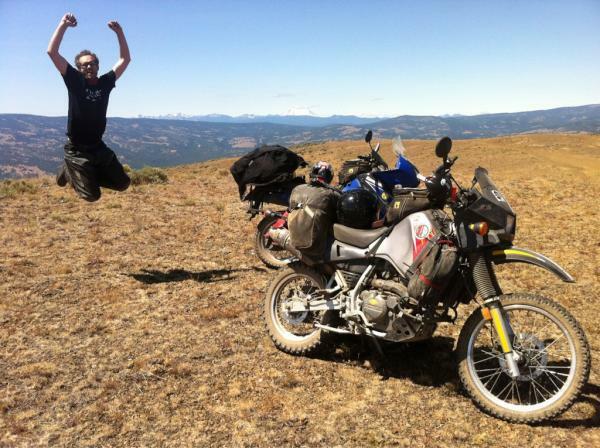 MotoBum stands up on his KLR, hammers the throttle, and winds-up sideways on the trail. Breaking a sweat maneuvering ADVstunt1 up the remaining bit, he makes it without actual incident on his not-wisely chosen 50/50 street/dirt tires. Last Minute Ryan (LMR) uses his bald rear tire to spin-up a party and instantly tips over while trapping his right leg under the 450lb F800GS. All find a long uphill section with baby-head sized rocks a nice challenge on 400lb streetbikes. Swamp Monster rides directly to the top of the mountain. MotoBum rides up without incident after getting completely sideways a time or two... or three. MotoBum rides all the way back down the mountain to look for Last Minute Ryan, who had trapped his right leg under the F800GS again while spinning up the bald rear tire. By the time LMR was found, the soft luggage had been unattached, the bike righted, and luggage reattached. Ryan was visibly upset that neither Swamp Monster nor MotoBum had been available to assist with the incident. Section 2 did have many goods parts. Swamp Monster flies up a short but extremely steep and twisty baby-head sized rocks bit. MotoBum flies up the bit, nearly crashing on both sides of the trail due to a wandering rear end. Last Minute Ryan makes it. He did have a nice rest half-way up the worst imaginable place to stop though. As we rolled into Ellensburg to get our hard earned taco truck tacos, we were all sad to hear the truth -- LMR's leg was hurting badly. He'd be taking the I-90 westbound for two hours back home to Seattle. Dang. 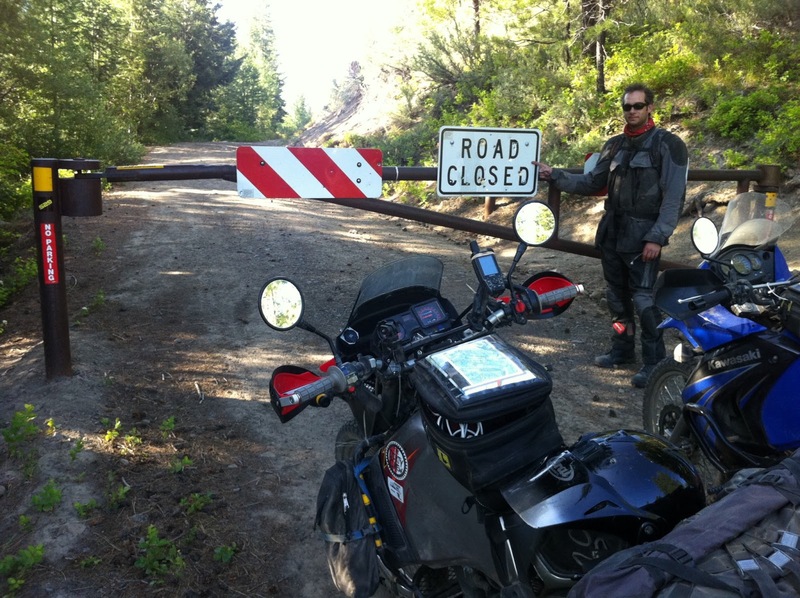 Swamp Monster and MotoBum pressed on north of Ellensburg onto Section 3. Table Mountain. Check. Lion Rock. Check. Amazing vistas. Check. Closed-road gate. Circumvented. 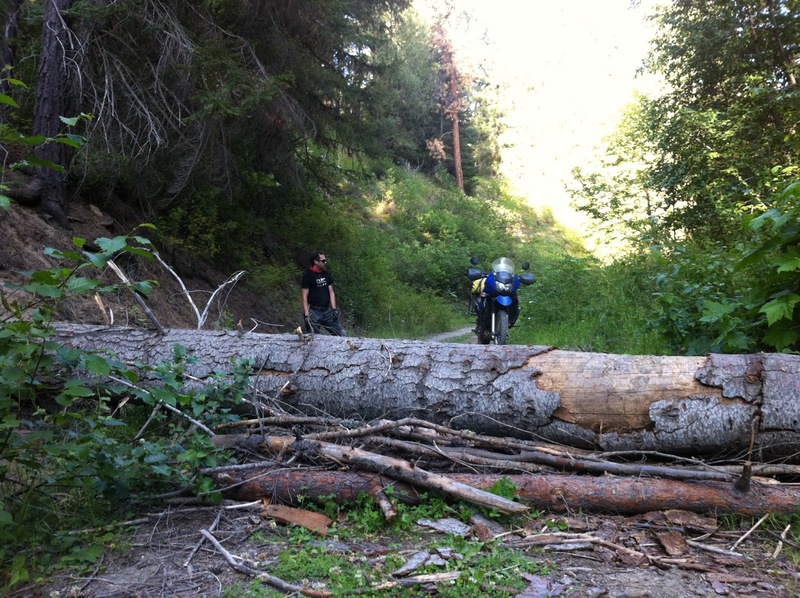 Large log crossing with loaded KLRs. Check. Risk death on 18" path next to washed-out ravine. Check. Burgers in Cashmere. Check. Camp 30 minutes north of Cashmere on Section 4 in the middle of absolutely nowhere. Priceless.